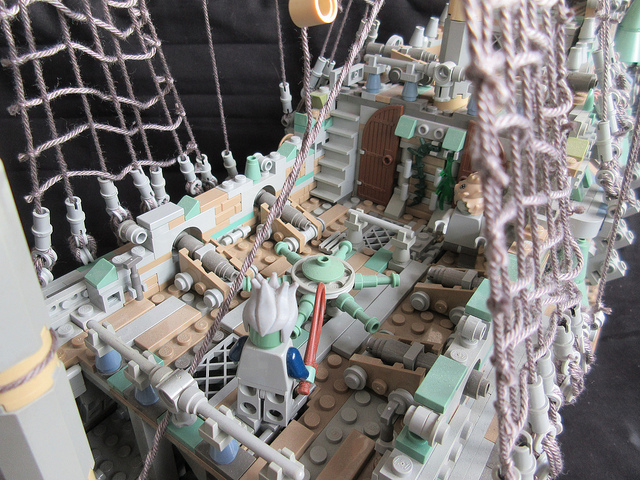 After six years in the making, master shipbuilder Sebeus I has completed his sensational LEGO version of the Flying Dutchman. 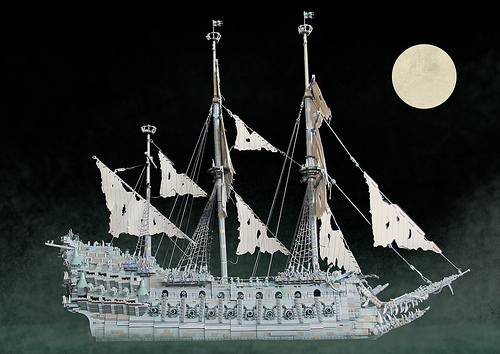 The 3-foot-long ship has been fittingly constructed from a muted palette of grey, dark tan, and sand green bricks, giving it the perfect spectral hue. 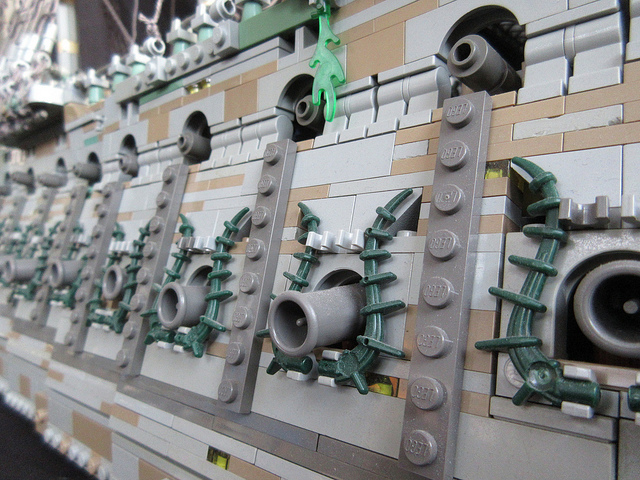 It also allows for an amazing amount of detail to be packed into the vessel’s decaying hull. 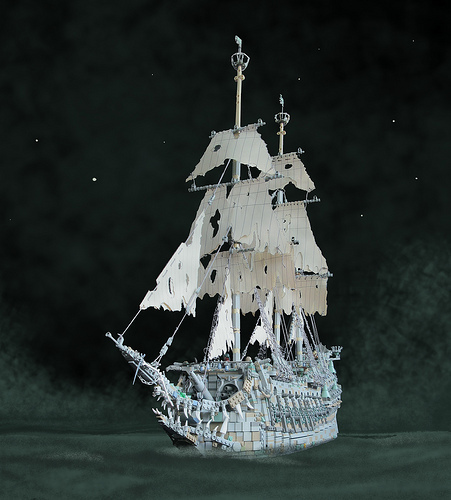 The tattered sails and rigging are particularly well realised, looking most effective as she glides out of the gloom. Sebeus’s photoshop skills enhancing the atmosphere to good effect. To get a sense of scale, Sebeus lined the model up against the 75192 UCS Millennium Falcon, LEGO’s largest official set ever. 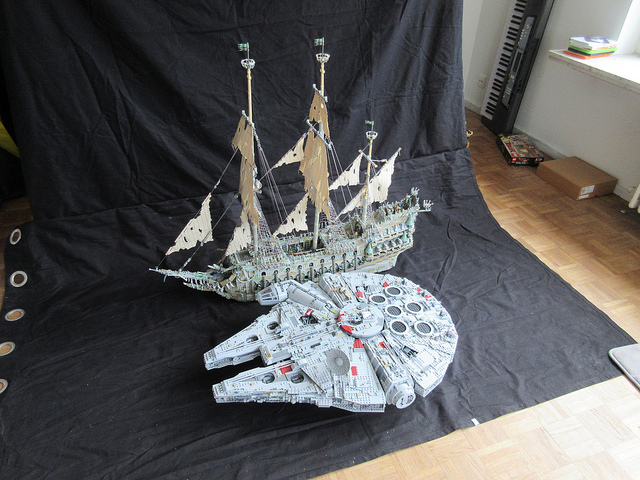 He speculates that the piece count of his vessel is pretty similar to the Falcon’s 7,500 pieces. As to be expected for a creation of this size, up close there’s a lot of extra features. On deck, you’ll find the capstan hammer, which was used to call forth the Kraken in Dead Man’s Chest. 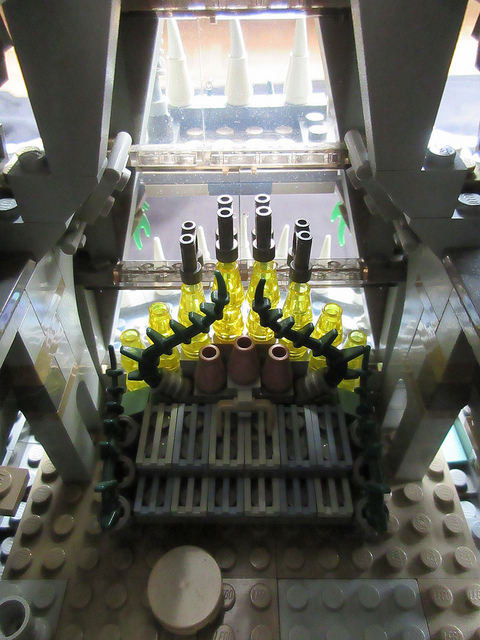 Down below in the captain’s cabin is a detailed version of Davy Jone’s pipe organ. 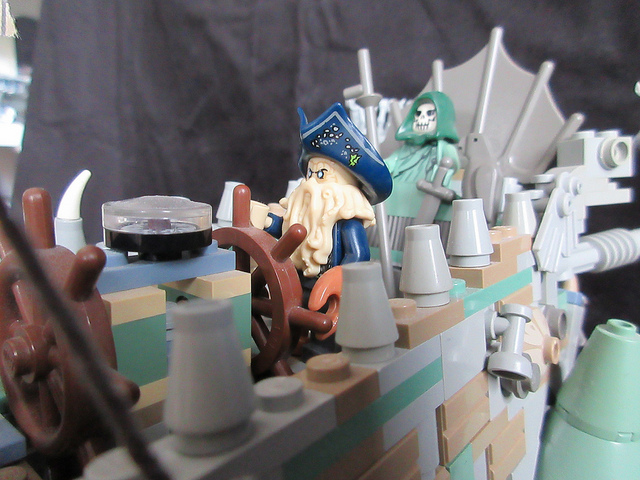 Davy Jones himself is at the helm. With most of the official Pirates of the Caribbean sets long gone from stores, certain characters have become rare. Sebeus purchased the mini-figure specifically for this build, for a mere €50! 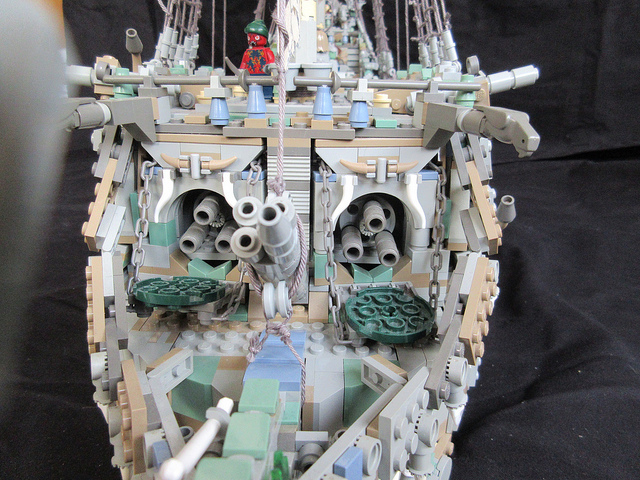 The broadside battery shows off the Dutchman’s arsenal, with some cleverly used mini-figure legs embedded for detailing and angling purposes. My personal favourite though is the wonderful triple forward facing cannons, set apart at a subtle angle and housed behind individuals hatches. Check out all of these and many more on a tour of the ship courtesy of Sebeus’s Flickr stream.